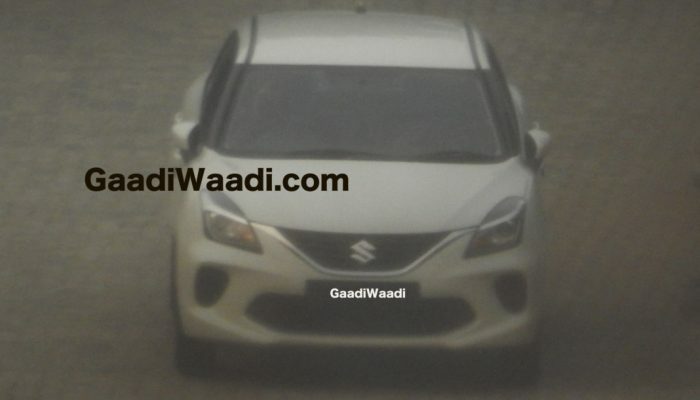 Ahead of its launch that is likely to take place in the coming weeks, the upcoming 2019 Maruti Suzuki Baleno Facelift has been spotted for the very first time. A single spy image of the model shared on the web reveals the new front fascia of the premium hatchback. Up-front, the new Maruti Baleno facelift features a redesigned bumper that houses a large air dam and separate vents on both the sides. The front grille to receives a makeover and is now slimmer and wider than the one on the outgoing model while also benefitting from a single slat chrome strip. The headlamps receive a chrome insert and are equipped with a projector setup, which according to reports, could be offered on the lower variants as well. Currently, only the top-end Alpha variant comes equipped with the projector headlamps. There are no images or details that reveal any other changes to the exterior or interior of the model. One can expect the 2019 Maruti Baleno facelift to receive a few updates and features for the interior. 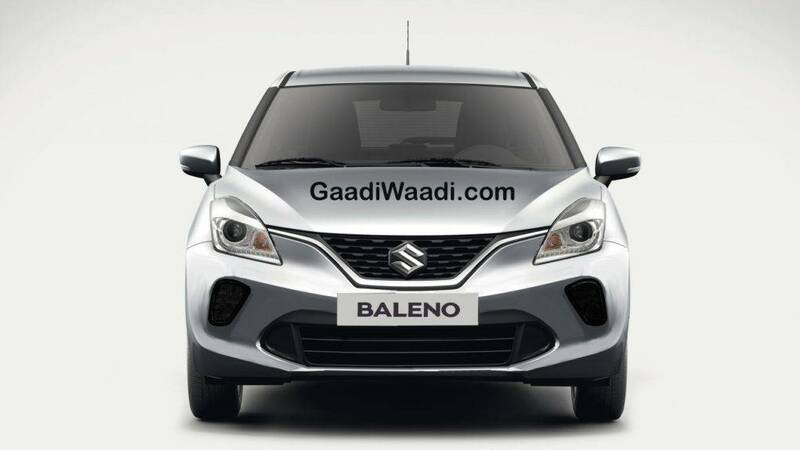 Engine specifications are likely to remain unchanged and hence the new Maruti Suzuki Baleno facelift is likely to source power from the same petrol and diesel engines as seen on the outgoing model. These include a 1.2-litre petrol unit and a 1.3-litre diesel unit. The former is capable of producing 83 hp and 115 Nm of torque while the latter produces 74 hp and 190 Nm of torque. Transmission duties will be taken care of by a five-speed manual gearbox, while the petrol variant could be offered with a CVT as an option.